Tonight we were invited to attend Charlie’s Classroom Celebration and Open House. We received a formal invitation with all the important details, and of course we gladly attended. We love Charlie’s teacher for so many reasons. We have a shared history, as we first met her when she came to our school as Christian’s second grade student teacher from Stanford. Lucky for our family, she was hired on that summer and became Christian’s 3rd grade teacher. Juliana also then had her for 3rd and 4th grade. When we returned from Amsterdam and found out that she would also be Charlie’s teacher, we were elated. I think we are the first family where she’s had all 3 siblings. 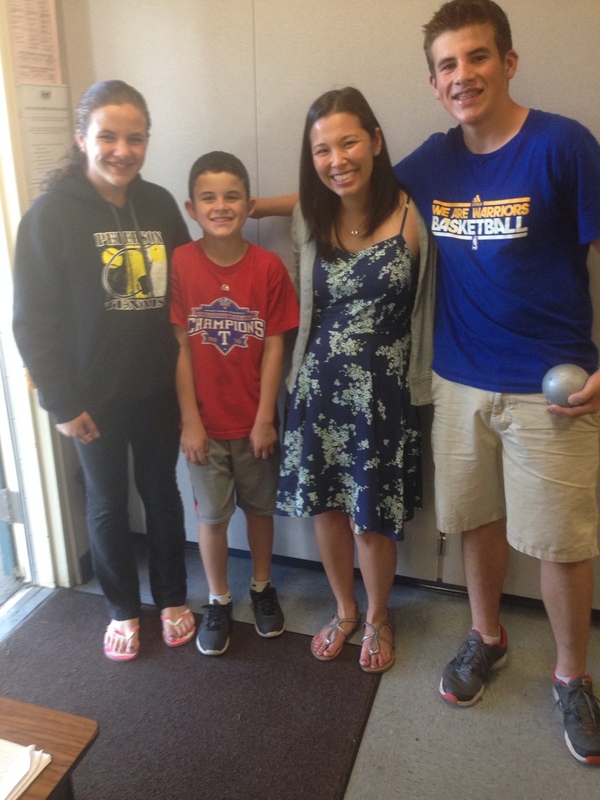 I asked Christian and Juliana to join us at the celebration, so that they could see their teacher again too. This was pretty special to me. Charlie gave us a tour of his classroom and walked us around the room, pointing out all the important details. 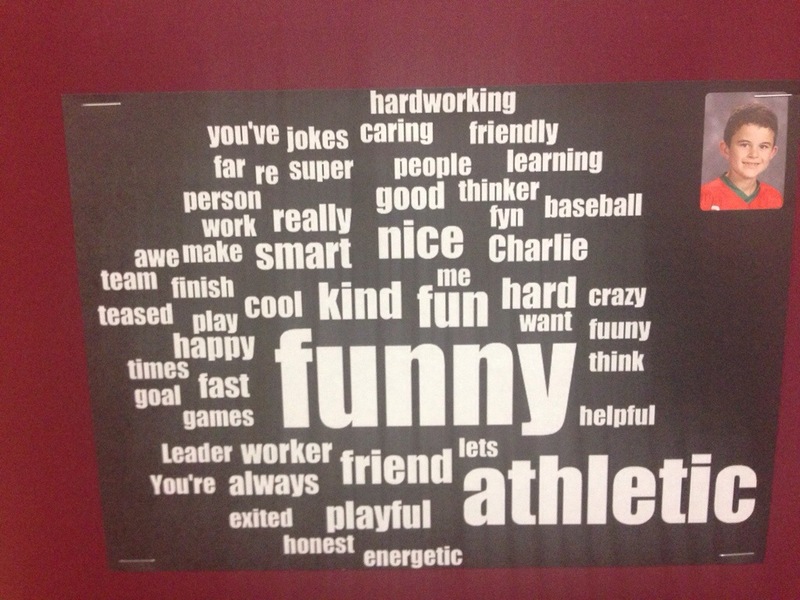 My favorite sites were the Word Clouds that the students created for each other. I love positive recognition and seeing the good in everyone. This activity empowered the kids to practice kindness and celebrating each other. They all seemed to like their individual highlights. 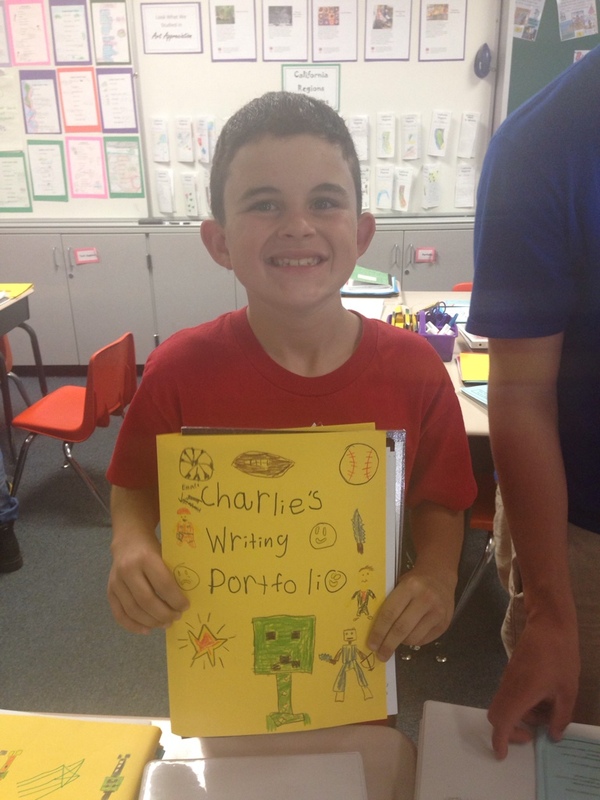 Charlie was most proud of his writing portfolio. This year he joined the newspaper staff and every month worked on an article for the school paper. I loved seeing his skills develop and how proud he has been. He loves to write and has a natural talent for creating interesting stories that flow. He types them himself, using Google Docs, and emails them to his advisor all on his own. After all the articles are turned in, the team meets to peer review and edit the articles before submission for the final paper. He says this year he’s learned how to indent paragraphs, and to use quotation marks properly. I’m still amazed how much a 4th grader can do and love seeing him enjoy learning. I am thankful for all the amazing teachers and staff at our school. We have passionate, smart, empathetic, kind and loving teachers. Our principal has also been supportive and has created an open environment where the synergy between multicultural students, teachers, staff and parents has thrived and has created a wonderful community. I am happy to be back home again, living in the same, ol’ neighborhood, and getting to enjoy these last two years of elementary school at “our” school. Love this life. Love our teachers. Thank you.